What will you get when you join the members of the Swedish squads Anti Cimex, Slaktattack and Blisterhead??? A raw punk ride in a d-beat cadence called WOLFHOUR!!! These gentlemen united in 2013 with a single ambition to play raw punk the way only the Swedish know. So far they have put out just a debut album titled „Dead on Arrival“ which will shoot your head off and currently they are working on their second effort to be released as well as their first album at Kibou Records. Unbelievable energy is what is pouring out of the stage during their live shows. No surprise as the engine behind the drums is the Swedish veteran Charlie from the legendary Anti Cimex!!! Not just him but the whole band will convince you that it's worth it!!! The punk hour of wolves is here!!! WOLFHOUR at OEF 2018!!! 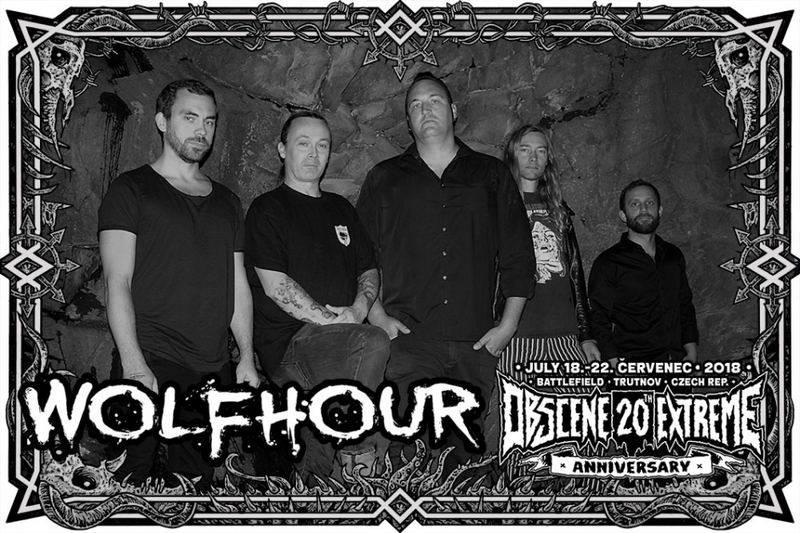 Wolfhour was formed 2013 in Gothenburg, Sweden with members from Slaktattack, Anti Cimex and Blisterhead. We got one purpose only: to play raw punk the way we like it. Nothing complicated but still with some kind of own sound to it.